The northeastern state of New York is among the most prestigious, high-profile golfing hubs in all of the United States. Boasting a fine collection of some of the nation's greatest courses of all time, designed by some of the most distinguished architects in the world of golf. Examples that come to mind include A.W. Tillinghast's Bethpage Black, Pete Dye's Pound Ridge, and Donald Ross' Sagamore Resort course. With a widely varied topography of sparkling blue rivers and lakes, rich, lush green valleys and mountain ranges, New York has always been a favorite vacation destination among tourists and travelling golfers alike. However, due to the humid continental climate of the area, the weather is sometimes less than ideal for a few rounds of golf and long hours on the course - be it the scorching hot summer days, or the biting winter weather of near-freezing temperatures. Fortunately, on such occasions, the state has a bevy of indoor virtual golf courses to appease avid golfers who are looking to play a few rounds or hone their skills even during the off-season or bad weather conditions. With such advanced technology available nowadays, golf simulators can perfectly replicate the authentic experience of being out on the course all year round. 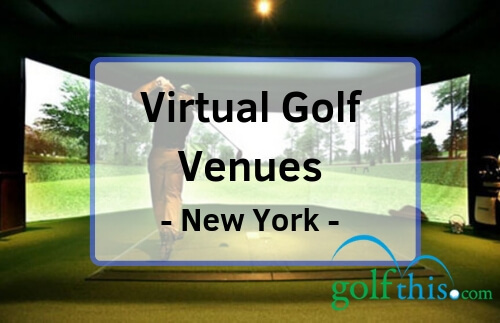 Enumerated below are some of the best virtual/indoor golf courses in all of New York. 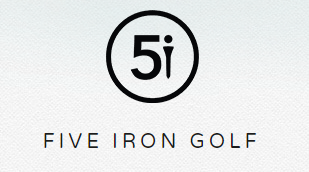 Situated in central New York City, Five Iron Golf is the newest virtual indoor golf destination, with an array of over 93 championship courses to choose from. It includes many of the top-rated local courses and numerous high-profile, international outings such as Frankfurter (Germany), Valderrama (Spain), Chateau Whistler (Canada), and Royal Melbourne (Australia). Among its most in-demand offerings are Bethpage Black (New York), Pebble Beach (California), and Pinehurst No. 2 (North Carolina). Utilizing state-of-the-art Full Swing simulators, the same ones Tiger Woods and Jordan Spieth personally use, Five Iron Golf delivers some of the most realistic golfing experience that you sometimes forget you're actually indoors. As an added treat, those who can shoot a hole-in-one can win $1,000. Check out their website for the applicable terms and conditions. Simulators are also available for sale, should you wish to enjoy a few rounds of golf at home every now and then, and the staff will gladly accommodate and assist you with your purchase. With over five PGA professionals on-site, private golf lessons are offered, along with junior lessons, a kids program, and a summer program. Other amenities include a full-service kitchen & bar, high-quality clubs (such as Mizuno, Ping, TaylorMade, and Callaway) available for rent and free of charge, and a variety of club fitting and repair services (such as re-shafting, adjusting loft/lie-irons, and re-gripping). Though the environment is casual and there’s no dress code, shoes with slippery soles are highly discouraged. Other than that, proper golf attire is not required. Rates apply per hour with no per-person charge, so you can bring up to three friends to enjoy a game with you. You're also free to book more than one simulator if you wish to bring a party of four or more. Due to the facility's popularity, it's best to call and book ahead of time. NexGen Golf Center is a premier indoor golf facility located in the capital district of Albany. It is fully equipped with cutting-edge technology that will allow golfers to enjoy a fantastic game no matter what the weather conditions are outside. Using High Definition Golf simulators, NexGen is able to deliver the most sophisticated computer vision ball and club tracking to create vividly realistic 3D models of some of the most famous courses, along with personal scoring and comprehensive data to monitor a player's performance. With 29 of the best golf courses in the world available for play, there are also numerous driving range modes that provide analysis on each of your shot for a more thorough practice session. Moreover, they also offer professional instruction, one-on-one lessons, and clinics to enhance your skills. The PGA Pros at NextGen will be more than willing to assist you in creating a personalized golf instruction plan that caters to your specific learning style, current skill level, and timetable. Aside from virtual simulations, there are also several golf-related games that can improve a player's ability in fun and entertaining ways, such as Field Goal Challenge, Tractor Range, Window Smash, Closest to the Pin, and Longest Drive. Some games that the kids can enjoy include a mini-golf mode, a putting game with animated puppies, and a table shuffleboard. For adults looking for something new, however, they also have a hunting simulator called SimWay, with a virtual target range and a training pistol and rifle. NexGen’s sports bar also offers a wide variety of beer, wine, liquor, and food selection to be enjoyed with their large, high-definition TVs. The staff can also assist you if you want to order food from nearby restaurants and diners. With detailed and realistic environment simulations and high-speed video able to accurately capture every shot, the technology available at Premier Indoor Golf is able to analyze a player's club head speed, club face & path, carry & offline distance, spin rates, and many other important metrics to improve a player's swing accuracy and overall playing performance. Equipped with the same technology top professionals from all over the world use, the data can also be uploaded online on a cloud-based profile and delivered to your mobile device, available for access wherever you go. Guests are given the choice of any of the 27 world-class 18-hole golf courses available for play that can be further configured into a stroke, match, or scramble at your personal preference. Premier Indoor Golf also offers a virtual driving range, practice mode, and various skill competitions that you can play with up to three friends. Simulator bays can accommodate up to 4 people each, while guests can also use the latest clubs and golf equipment with no additional charge. Frequent customers and students can avail of the club storage for free as well. The facility also offers club-fitting and club repair services, such as custom wedge grind, gap analysis, hot melt, loft & lie angle adjustment, and shaft extension. One of the quainter indoor golf locations in the state, Golf Manhattan is a humble virtual golf facility with PGA Tour Simulators and three private rooms available for rent. Their teaching pros offer one-on-one private lessons to help beginners advance or correct their form and further hone the skills of more intermediate golfers. There's also a pro shop on-site with a nice inventory of branded golf bags and accessories. Different rates apply for off-peak times (8:30am-5:00pm on weekdays) and peak times (weekday nights and weekends). Residing in the famous Manhattan sports complex by the Hudson River, The Golf Club at Chelsea Piers is one of New York City's most sought-after golf courses. Aside from the 18-hole, 200-yard layout, however, The Golf Club is also home to a number of Full Swing simulators and high-class indoor golf facilities. With the state-of-the-art technology at Chelsea Piers, golf enthusiasts will be thrilled with the more than 55 virtual championship courses to choose from. Included in the list are many distinguished destinations often featured among the world's Top 100, such as the Old Course at St. Andrews, Oakmont Country Club, Pebble Beach Golf Links, Royal Melbourne, and Pinehurst No. 2 and No. 8. At an affordable rate of under $50 per hour, guests can enjoy the photo-realistic 3D simulations and high-speed cameras that are able to analyze ball spin and various club head metrics (such as angle and path) to help improve a player's swing and stroke. Other amenities include a four-tiered, all-grass, outdoor driving range, club memberships, junior golf camps and programs, and a well-stocked, top-of-the-line pro shop. Virtual simulators can be booked up to 48 hours in advance, and cancellations are fully credited but non-refundable. Individual play can accommodate only a maximum party of four. Strategically located in Averill Park near the cities of Albany and Troy and the towns of Colonie and Guilderland, Burden Lake Country Club is among New York's finest semi-private courses. The crowning jewel of the Totem Lodge Resort, Burden Lake Country Club is home to an 18-hole, par-72 championship layout dating all the way back to 1927. Among their extensive off-course amenities, however, are virtual golf simulators and other indoor facilities. With a selection of 40 of the greatest golf courses from around the world available for play, guests at Burden Lake Country Club can enjoy the three high-tech indoor simulators with 15-feet wide screens for a relaxing round of virtual golf that can be played alone or with friends, with multiplayer contests like Closest to the Pin, Putting, and Chipping. Other amenities at Burden Lake Country Club include their outdoor, all-grass driving range, a well-stocked pro shop that flaunts many leading brands (such as Callaway, Ping, TaylorMade, Adidas, Nike, and IZOD), and a clubhouse with its very own bar and restaurant named Jack Kelly's Tavern by the Green. There are also PGA Professionals that offer private lessons upon request. Simulator sessions can be booked up to a week in advance, and there are also a number of specials to shave off a few dollars from their already affordable rates. Though the indoor golf facilities at Burden Lake are usually open from 8AM to 10PM, sometimes they may close early in lieu of dinners or special events, so it's best to inquire ahead of time. First launched in November 2015, Roundhouse Indoor Golf is a virtual golf facility situated in the heart of Oneonta City, boasting the most up-to-date technology and two high-grade golf simulators. Each of the simulators at Roundhouse Indoor Golf comes equipped with over 89 different courses from all around the globe, 30 of which are regarded as the world's "Greatest Courses" by Golfweek and Golf Digest. Among the choices are Pebble Beach Golf Links and the Old Course at St. Andrews. Aside from the impressive quality of the Full Swing Simulators and its dual club and ball tracking technology, there's also a Pro Studio indoor practice range that helps golfers refine their swing and lessen the strokes off their game, all for an affordable rate of under $30 per hour. There are also various golf leagues players are free to sign up for and an on-site bar that serves beverages, snacks, as well as domestic and imported alcohol and wine. Though the virtual simulators are available for rent at an hourly rate, the real draw of Golf Lessons NYC, as their name hints, is actually the professional instruction and private lessons that are being offered at the site. With three highly qualified PGA teaching pros, Golf Lessons NYC is spearheaded by Marc W Golf and accommodates golfers of all ability levels who are looking to further hone their skills and improve their game. With a state-of-the-art teaching facility in a comfortable private location, guests will be rewarded with a deep understanding of the game along with the fundamentals. An enjoyable experience that will make players fall in love with the sport once more, Golf Lessons NYC specifically tailors every teaching session according to the student, their skill level, goals, and desired number of lessons. Clubs are also available for rent, if necessary. Golf Lessons NYC is open by appointment only. Brooklyn Greens is a private, indoor golf studio that flaunts the most advanced swing simulator technology for a truly immersive, life-like virtual golf experience. Along with a ForeSight Sports driving range available for golfers to practice on, their selection also includes three of the most famous courses in the country: Prairie Dunes Country Club in Kansas, The Olympic Club in California, and Merion Golf Club in Pennsylvania. 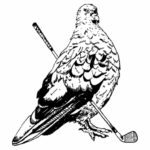 Similar to Golf Lessons NYC, Brooklyn Greens is best known for their private golf lessons, which are touted to be among the best in the city. The one-on-one lessons with the PGA Professionals at Brooklyn Greens are specifically developed with the client in mind, accommodating their personal level of skill and experience, and tracking their individual progress using the statistics (swing speed, ball speed, launch angle, spin rate, shot distance, and much more) provided by the simulators. You can also opt for lesson packages that include practice time and other special perks. Other services at Brooklyn Greens are club-fitting and club re-gripping. At the exclusive Callaway Custom Club-Fitting Shop, a PGA certified club fitter can help you decide on which club is best for your game and will assist you in calibrating it to your unique swing and body type using the appropriate set of irons and woods. As for re-gripping, the PGA certified golf club repair specialist is sure to have your order done within 24 hours at a competitive and affordable price. A semi-private indoor golf club that first debuted in 2006, Pinnacle Golf Club is one of the finest virtual golf establishments not just in Long Island, but in the entire state of New York. Featuring the latest Full Swing Golf simulators that are able to accurately capture a player's ball speed, launch angle, and real-time continuous visual ball flight, Pinnacle Golf Club has a vast selection of over 70 world-renowned championship courses to choose from, including all-time favorites such as Bethpage Black, Pebble Beach, Pinehurst, Torrey Pines, St. Andrews, Kapalua, and so much more. Simulator sessions can also be configured to practice mode, which will allow golfers to practice on whichever specific holes they desire, and a driving range mode where players can hit tee, fairway, and approach shots with instant feedback on launch angle, carry and roll distances, and deviation from the target line. Tour Links putting greens are available as well, for those looking to practice their chip shots and sharpen their skills to warm up before the actual game. Other amenities available are private lessons with PGA Professionals, club fitting, and club re-gripping. Spring Rock Golf Club is an indoor practice facility located in Long Island that is dedicated to providing golfers with outstanding customer service and even better professional golf training. With an assortment of over 15 different courses (such as The Riviera, Westchester, The Oceans, East Lake, Palm Beach, Firestone, and Moonah at the National), along with a number of other Asian courses, Spring Rock Golf Club is able to cater to golfers of all skill levels and playing abilities with their top-of-the-line simulators with Ultra Vision 2 and high-speed spin sensors. Food services are also available on-site and an accommodating staff that's more than willing to assist you with any problems or concerns you may have. So if you're an avid golfer looking for a more secluded but excellent practice facility to hone your skills all-year round, look no further than the Spring Rock Golf Club.